Before we focus on “How to” pointers for Social Media for B2B, let’s look at the examples of a few companies who have effectively used Social Media to their advantage. SUZLON is the world’s third largest manufacturer of wind turbines. It has its presence in 32 countries and employs over 13,000 people. It is very active on both Twitter and Facebook and regularly updates the content on both. One of their most interesting campaigns has been their success at building an online ‘community’ called Pure Air Lovers Society (P.A.L.S). Its success gives proof to the fact that an effective and meaningful Social Media campaign can truly prove to be a great asset. Afaqs reports, “Launched just four months ago, Suzlon’s initiative, P.A.L.S. – the Pure Air Lovers Society, has become the largest environment-linked campaign in India with over one million registered members. P.A.L.S. has also been among the fastest growing campaigns of its kind in the country, exceeding an average of over 9,000 registrations per day”. Do check their Facebook Page and Twitter out. Tetra Pak is the world’s leading food processing and packaging solutions company. 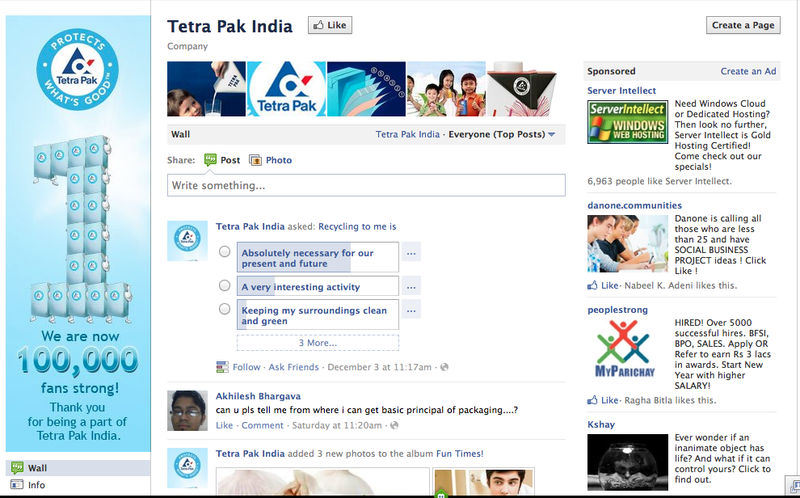 Their website is taking advantage of user connectivity by having “Share options” and they maintain a very active Corporate Twitter Account and manage their Tetra Pak India Facebook Page very effectively. The Mahindra Group of Companies is one of India’s largest corporations with multiple companies representing various industries such as Automotive, Aerospace, Consulting and Financial Services, Defense, Energy, Real Estate, etc. The active involvement of Anand Mahindra on Twitter is a good indicator of the company’s attitude and utilization of Social Media for corporate benefits. Infosys, India’s Tech giant is present on most of the Social Media channels. Their Social Media profiles are both informative and visually beautiful, ensuring the capture of a lot of “eyeballs”. An interesting addition is also a tab called “microsites” placed nest to the Blog tab. Why do you want to setup your account? Do you have content to post online? Have you decided what will you be posting? What will be the frequency of the posts? Apart from Social Networking Sites , are you aware of all the fora where your users converse? Apart from employing the various Social Networking sites, do consider starting a dedicated blog site. If you do start one, would you host it internally or would you prefer hosting it on sites like blogspot, wordpress etc? Once the basic analysis is done, you will be able to perceive your Social Media strategy clearly. DO keep in mind that Social Media activities require a good deal of time (6 to 8 months) to generate awareness and yield results. Do not lose interest in the campaign because of lack of instantaneous results. Inform your employees as well that now you are present on Social Sites. They should be sensitized to the kinds of information that can be shared online. Be aware of the time zones in which your users are present. Use hashtags judiciously. Your entire sentence should not be made up of hashtags (many novices make this mistake). Keep refining your fans/followers list regularly. Objectionable accounts should be blocked. 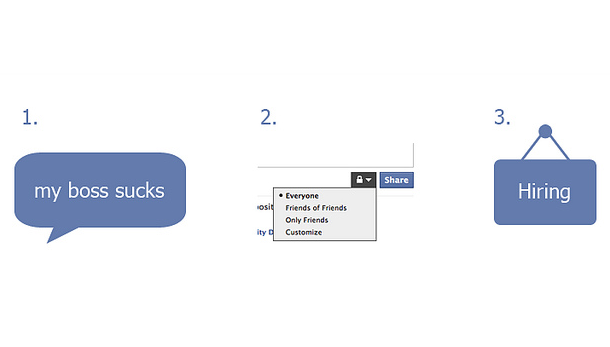 The same applies to the posts which are contributed to your page. Be consistent with your pace. Your tweets/posts should be well distributed throughout the time zone which you are targeting. 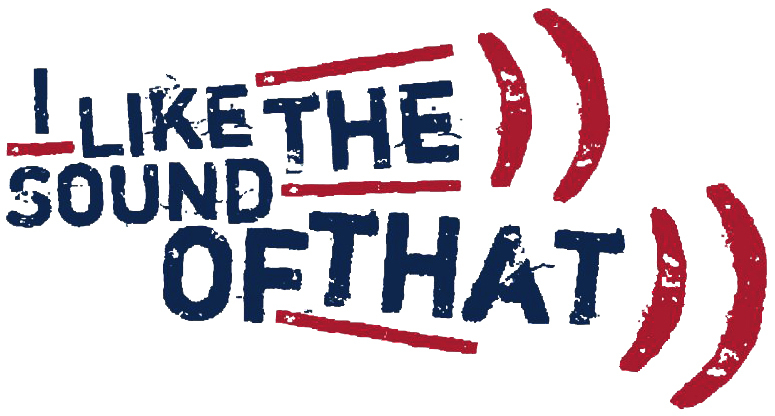 Avoid using SMS language/abbreviations in your posts. It’s not acceptable on a corporate account. Spell and grammar check ALWAYS. Bad spellings/language are not acceptable in any context. Upload pictures of your office space. If you want your content to be shared , follow the practice yourself as well. If you have not yet started your social media activities , YOU ARE ALREADY LATE. However, better late than never. Lastly, please pay attention to this Print advert campaign of Greaves. After having gone through the pointers above, don’t you think this campaign would have been optimized better if Social Media had also been utilized? Food for thought! Handling Marketing for South East Asia, Australia and New Zealand for Bentley Systems India Pvt Ltd.Takes care of Social Media Activities for Asia region.Co-Founder of Social Media Club Pune Chapter.Freelancer Blogger..Pens short stories and dream is to publish full fledged novel some day...In short I am a "Socially dedicated Marketeer "